Our blossoming trees and abundant plant life seemed to spring forth almost overnight. 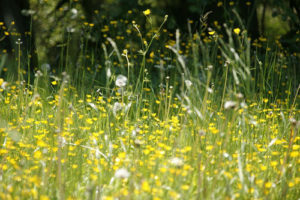 For many people allergies can put a damper in their enjoyment of being out and about. For some people this is cyclical, occurring in either the spring or fall, for others it’s a year round battle. Our immune system is under assault, we have become out of sync with nature. The disharmony quite often lies within our transition from winter into spring. Spring is the season connected to the Liver meridian. It is a time when the Qi in our body wants to radiate outward, (like a flower emerging from the Earth) after being more internal during the winter. If we are having difficulty with our radiative function then we may experience depression or allergies, among other things. Also, our Wei Qi or Defensive Qi lies just outside of our skin /body hair layer. If our Wei Qi is strong, we are impervious to pathogens or Wind, that try to penetrate this barrier. This is similar to our immune system from an allopathic viewpoint. This explains why some people are prone to allergies and colds, while many people are unaffected. In Chinese Medicine, an allergic reaction to airborne pollen and mold is considered to be an attack of ’Wind”. This Wind is very much akin to catching a cold-the signs and symptoms can be quite similar: nasal symptoms, sore throat, itchy eyes, cough and marked fatigue. Allergy shots, Flonase, Claritin, and Zyrtec may provide relief but do little to address the underlying factors that made us vulnerable to these attacks in the first place. It might be of interest that these medications are not without side effects. Would you like to take control over your well-being, rather than a drug controlling you? What if you could have an immune system that was impermeable to these attacks? Wouldn’t it be nice to enjoy our natural world by utilizing the wonderful benefits of acupuncture and moxibustion, to become a better you? Acupuncture and moxa are excellent to remove obstructions and fortify the immune system. Often stiffness in the neck and shoulders are present in allergy sufferers. When these areas are stiff, circulation is impaired, things come to a halt. When this happens our eyes are irritated, nasal symptoms abound, sore throat and cough ensue. In conjunction with having proper Qi circulation, I like to use moxa to fortify the immune system. The use of moxa has been scientifically proven to enhance cellular immunity and increase both red and white blood cell count. Although allergy season is in full bloom there is no reason to despair, I can assist you to become self-empowered, once again! 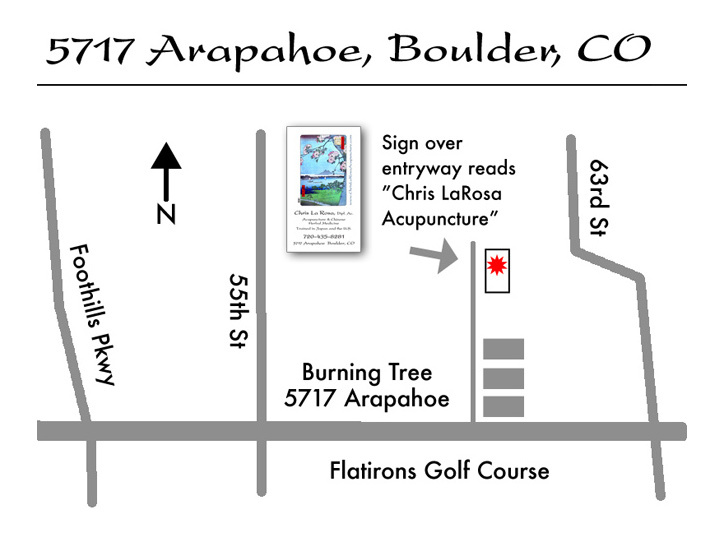 Click the map above for bigger map and driving directions.